Thresholds teaches a six-step decision-making program to inmates in the Chester County Prison located in Pocopson, Pennsylvania. 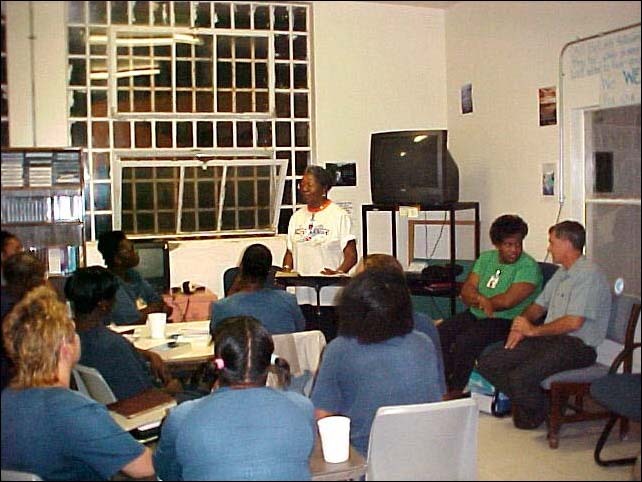 trained volunteers from the community teach inmates, or “clients,” the elements of making good decisions. The elements (define their situation, set goals, evaluate possibilities for reaching their goals, and implementing the decision) are communicated using lecture, interactive activities, Q&A, and role play. 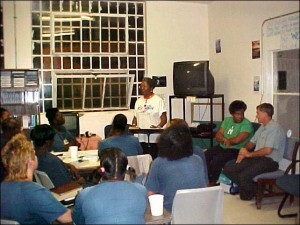 • Eligible and interested youth incarcerated at the Youth Detention Center. Thresholds uses a two-part teaching methodology. In a group session, the volunteer teacher presents in each class one of the six steps to good decisions. Between the group sessions, a volunteer will work one-on-one with the client/inmate to clarify and make personal the elements in making decisions. Client/inmates decide on a goal that is important to them, and use the decisional process with their volunteer in reaching that goal.